Hill Laboratories was a pioneer in bringing affordable methamphetamine drug testing services to the New Zealand market. 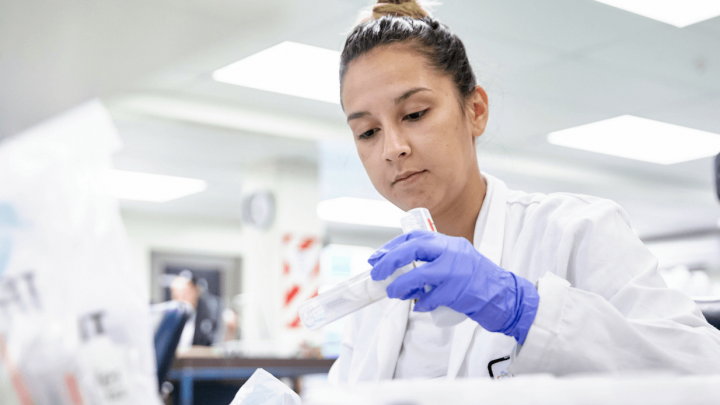 We have been offering routine commercial services since 2012 and continue to work closely with organisations such as Standards New Zealand to provide scientific input on how best to approach methamphetamine testing. We have invested extensively in test-automation to ensure that results are provided in the shortest time possible, while still being of the highest accredited standard. Hill Laboratories have the capability to test for traces of Methamphetamine from suspected contaminated dwellings. The test is carried out on wipe samples according to NIOSH method 9111, and is IANZ accredited. This includes testing for three precursor drugs; Ephedrine, Pseudoephedrine and Amphetamine. Swab samples from the dwelling are taken and sent to the laboratory where they are extracted and analysed using LCMSMS (Liquid Chromatography with Tandem Mass Spectrometry Detection). Results for methamphetamine greater than 1.5μg/100sqcm exceed the current New Zealand guideline levels. Please note: Hill Laboratories strongly recommend that you engage the services of a consultant when you are checking a property for methamphetamine residues. Hill Laboratories does not offer a methamphetamine sampling service and are unable to provide an interpretation of methamphetamine results. A consultant will be able handle the entire process for you (sampling and reporting), and the report from the consultant will have legal standing. NZ Drug Decontamination and Remediation Specialist Ltd.
Use the map or search function to find a consultant in your area. We strongly recommend that you engage the services of a consultant when you are checking a property for methamphetamine residues. A consultant will be able handle the entire process for you (sampling and reporting), and the report from the consultant will have legal standing.